Yanis Varoufakis, the economist Valve recently hired to study Team Fortress 2's virtual economy, has published his first paper. If you are not an economist and suffer from insomnia, you might consider giving this a close read. If not, and you're looking for a bit of news out if, this bit of speculation was all I could pry from the conclusion. It followed nearly 3,500 words explaining arbitrage and equilibrium, which more or less describes the ability to buy or an acquire an item at low cost and sell or trade it for high return, as opposed to a market where these opportunities are much more limited. "I think this is fun to see. The tantalising thought also comes to mind that we could, perhaps, let you see this graph in real time, to guide your trading," Varoufakis wrote. "Or perhaps not? What do you think?" Great. 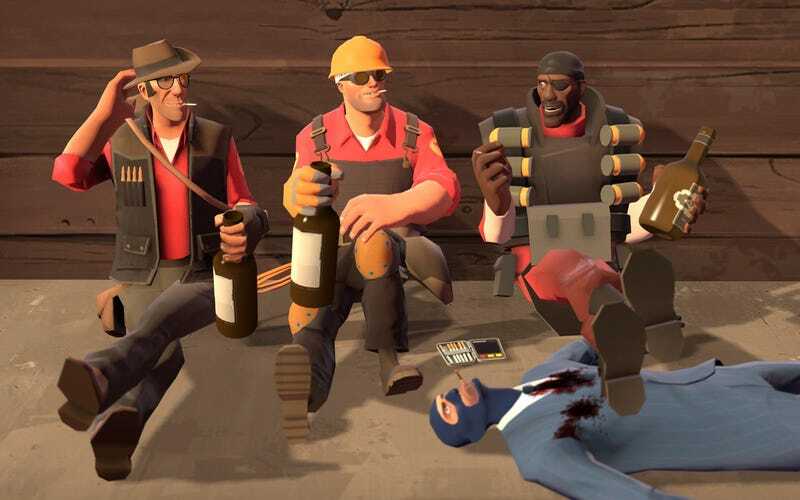 Is Team Fortress 2 getting an in-game commodities ticker?